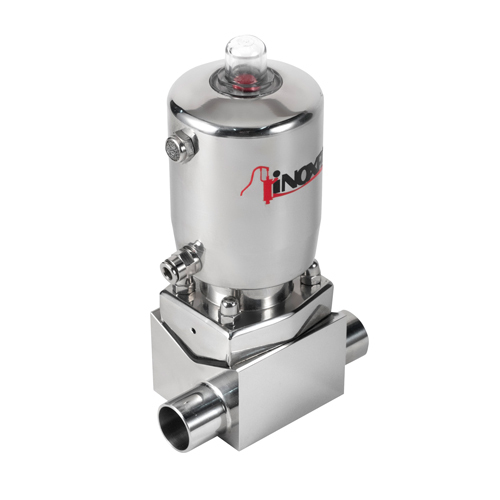 The NDL (Non Dead Leg T Valve) diaphragm valves, manually or pneumatically operated, are specially designed for use on aseptic processes in the pharmaceutical industry. The valves are widely used at points of use in the loops of purified water (PW) or water for injections (WFI). The diaphragm provides the body seal as well as the seat seal. There are no paths to the outside environment and, as such, the valve is suitable for aseptic processes. When the valve is being closed, a pressure pad which supports the diaphragm moves towards the sealing face on the body. As the pressure plate moves, the diaphragm flexes and is forced down onto the seat area in the centre of the body, thus, closing off the flow path through the body. 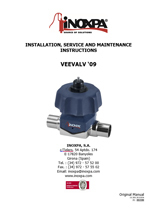 The valve can be actuated either manually or pneumatically and controlled by control units and solenoid valves. A standard diaphragm valve is used to shut the flow of a line, an NDL type valve shuts only one outlet of the main line. Comparing with a traditional diaphragm valve, the dead leg of an NDL valve is reduced to a minimum due to the design of the valve, and the pharmaceutical normatives like ASME BPE prioritise this condition. Broad flexible range based upon a modular design concept with key components being common with other valves. Autoclavable stainless steel bonnets and handles. Hygienic design of the handles. The valve body is machined out of a stainless steel block. Diaphragm: FPM, VMQ (according to FDA 177.2600 and USP class VI) and PTFE / EPDM separate (according to FDA 177.2600). Stainless steel bonnet with plastic or stainless steel handle. Pneumatic actuator with stroke limiter. Pneumatic actuator with external switch. Control box with switches and solenoid valves. Résumé Las válvulas de diafragma NDL (Non Dead Leg T Valve) de accionamiento manual o neumático, están especialmente diseñadas para usos en procesos asépticos en la industria farmacéutica. 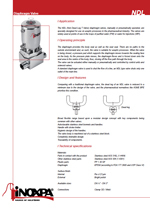 Résumé The NDL (Non Dead Leg T Valve) diaphragm valves, manually or pneumatically operated, are specially designed for use on aseptic processes in the pharmaceutical industry. Résumé Le valvole a membrana NDL (Non Dead Leg T Valve) ad azionamento manuale o pneumatico, sono specialmente progettate per usi nei processi asettici nell’industria farmaceutica. Résumé Мембранные клапаны NDL (Non Dead Leg T Valve), с ручным или пневматическим приводом, были специально спроектированы для асептических процессов фармацевтической промышленности.